CARPENTERSVILLE, ILLINOIS. 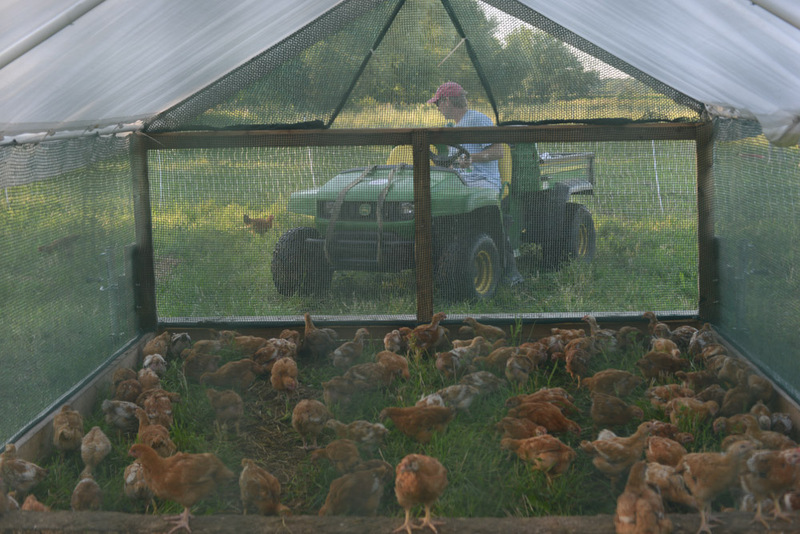 Cliff McConville, 52, moves the chicken houses each morning so the chickens can fertilize different sections of land at the Barrington Natural Farms in the Brunner Family Forest Preserve on July 30, 2015. McConville worked for years in downtown Chicago in the insurance industry, a one and a half hour commute each way, before discovering late in life he likes being around "happy animals," so after reading much about it, he began organic farming and works a few hours a day from home in the insurance business.